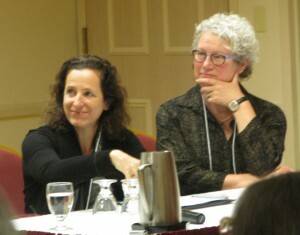 Entitled “Writing the Difficult Character,” discussions across the weekend explored what could be learned from comparing the relationship between the writer and the audience, particularly in the writing of difficult characters, with t he relationship of the therapist to patient. In what senses might the writer be said, through their ability to hold the difficult character with genuine respect and compassion, to likewise be holding the audience? On Saturday afternoon, a panel discussion with MaryKay, Ari, Lynne, Anne and Hemda explored this question, paying attention to how it is that the writer achieves characters that are both difficult and alive for the audience. 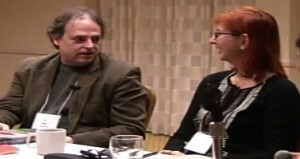 Click to watch Ari Roth defines “alive writing”. 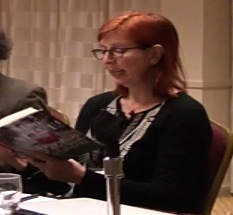 Here, Lynne suggested an overlap between being a writer and being an analyst in a live analysis. Positing that holding characters in a way that is open to their difficulty means being open to the difficulties that character may arouse in the writer, she described the necessity of encountering and tolerating what is hateful in a patient as finding its necessary parallel as the analyst being able to sit with what is hateful in ourselves. This, she stated, allows us if not to find what is lovable in that patient, to at least be willing to make sense of them and to appreciate their vulnerability. “When I say ‘sit with them or get to some compassion or to some empathy,” MaryKay replied, “I’m not talking happy endings.” Ari agreed. 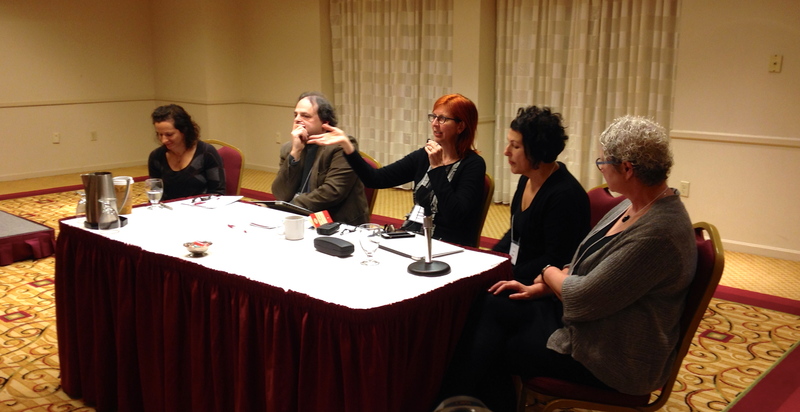 In many ways, this discussion echoed ideas explored throughout the weekend. To sit with difficulty, whether as a writer or a therapist, does not mean happy endings. It does mean recognition of a shared humanity, of the relational nature of that which is difficult, and it does seem to mean something about finding that which is joyful or hopeful or poignant in the shared settling.